Já são 3 da manhã! Já está tarde! É hora de você estar na cama! rsss Mas antes de você ir se deixar, vamos estudar um pouco de inglês. Vamos aprender como dizer as horas em inglês dentro do período das 3:00 as 03:59. Na língua inglesa, existem várias maneira de escrever as horas em inglês. Por isso, montamos essa tabela abaixo com todas as horas em inglês por extenso dentro do período das 3 da manhã. São várias opções de escrita, então, para te ajudar na memorização de cada uma delas, recomendamos o uso do Anki, uma ferramenta excelente que usa o processo de spaced repetition (repetição espaçada) para que o nosso cérebro grave informações mais fáceis e rápidas. Saiba aqui o que é o Anki e como baixar essa ferramenta. One minute past three One minute past three a.m.
One past three One past three a.m.
Fifty-nine minutes to four Fifty-nine minutes to four a.m.
Three one Three one a.m.
Two minutes past three Two minutes past three a.m.
Two past three Two past three a.m.
Fifty-eight minutes to four Fifty-eight minutes to four a.m.
Three two Three two a.m.
Three minutes past three Three minutes past three a.m.
Three past three Three past three a.m.
Fifty-seven minutes to four Fifty-seven minutes to four a.m.
Three three Three three a.m.
Four minutes past three Four minutes past three a.m.
Four past three Four past three a.m.
Fifty-six minutes to four Fifty-six minutes to four a.m.
Three four Three four a.m.
Five minutes past three Five minutes past three a.m.
Five past three Five past three a.m.
Fifty-five minutes to four Fifty-five minutes to four a.m.
Three five Three five a.m.
Six minutes past three Six minutes past three a.m.
Six past three Six past three a.m.
Fifty-four minutes to four Fifty-four minutes to four a.m.
Three six Three six a.m. Seven minutes past three Seven minutes past three a.m. Seven past three Seven past three a.m.
Fifty-three minutes to four Fifty-three minutes to four a.m.
Three seven Three seven a.m. Eight minutes past three Eight minutes past three a.m. Eight past three Eight past three a.m.
Fifty-two minutes to four Fifty-two minutes to four a.m.
Three eight Three eight a.m.
Nine minutes past three Nine minutes past three a.m.
Nine past three Nine past three a.m.
Fifty-one minutes to four Fifty-one minutes to four a.m.
Three nine Three nine a.m. Ten minutes past three Ten minutes past three a.m. Ten past three Ten past three a.m.
Fifty minutes to four Fifty minutes to four a.m.
Three ten Three ten a.m.
Eleven minutes past three Eleven minutes past three a.m.
Eleven past three Eleven past three a.m.
Forty-nine minutes to four Forty-nine minutes to four a.m.
Three eleven Three eleven a.m.
Twelve minutes past three Twelve minutes past three a.m.
Twelve past three Twelve past three a.m.
Forty-eight minutes to four Forty-eight minutes to four a.m.
Three twelve Three twelve a.m.
Thirteen minutes past three Thirteen minutes past three a.m.
Thirteen past three Thirteen past three a.m.
Forty-seven minutes to four Forty-seven minutes to four a.m.
Three thirteen Three thirteen a.m.
Fourteen minutes past three Fourteen minutes past three a.m.
Fourteen past three Fourteen past three a.m.
Forty-six minutes to four Forty-six minutes to four a.m.
Three fourteen Three fourteen a.m.
Fifteen minutes past three Fifteen minutes past three a.m.
Fifteen past three Fifteen past three a.m.
Forty-five minutes to four Forty-five minutes to four a.m.
Three fifteen Three fifteen a.m.
A quarter past three A quarter past three a.m.
Sixteen minutes past three Sixteen minutes past three a.m.
Sixteen past three Sixteen past three a.m.
Forty-four minutes to four Forty-four minutes to four a.m.
Three sixteen Three sixteen a.m.
Seventeen minutes past three Seventeen minutes past three a.m.
Seventeen past three Seventeen past three a.m.
Forty-three minutes to four Forty-three minutes to four a.m.
Three seventeen Three seventeen a.m.
Eighteen minutes past three Eighteen minutes past three a.m.
Eighteen past three Eighteen past three a.m.
Forty-two minutes to four Forty-two minutes to four a.m.
Three eighteen Three eighteen a.m.
Nineteen minutes past three Nineteen minutes past three a.m.
Nineteen past three Nineteen past three a.m.
Forty-one minutes to four Forty-one minutes to four a.m.
Three nineteen Three nineteen a.m.
Twenty minutes past three Twenty minutes past three a.m.
Twenty past three Twenty past three a.m.
Forty minutes to four Forty minutes to four a.m.
Three twenty Three twenty a.m.
Twenty-one minutes past three Twenty-one minutes past three a.m.
Twenty-one past three Twenty-one past three a.m.
Thirty-nine minutes to four Thirty-nine minutes to four a.m.
Three twenty-one Three twenty-one a.m.
Twenty-two minutes past three Twenty-two minutes past three a.m.
Twenty-two past three Twenty-two past three a.m.
Thirty-eight minutes to four Thirty-eight minutes to four a.m.
Three twenty-two Three twenty-two a.m.
Twenty-three minutes past three Twenty-three minutes past three a.m.
Twenty-three past three Twenty-three past three a.m.
Thirty-seven minutes to four Thirty-seven minutes to four a.m.
Three twenty-three Three twenty-three a.m.
Twenty-four minutes past three Twenty-four minutes past three a.m.
Twenty-four past three Twenty-four past three a.m.
Thirty-six minutes to four Thirty-six minutes to four a.m.
Three twenty-four Three twenty-four a.m.
Twenty-five minutes past three Twenty-five minutes past three a.m.
Twenty-five past three Twenty-five past three a.m.
Thirty-five minutes to four Thirty-five minutes to four a.m.
Three twenty-five Three twenty-five a.m.
Twenty-six minutes past three Twenty-six minutes past three a.m.
Twenty-six past three Twenty-six past three a.m.
Thirty-four minutes to four Thirty-four minutes to four a.m.
Three twenty-six Three twenty-six a.m.
Twenty-seven minutes past three Twenty-seven minutes past three a.m.
Twenty-seven past three Twenty-seven past three a.m.
Thirty-three minutes to four Thirty-three minutes to four a.m.
Three twenty-seven Three twenty-seven a.m.
Twenty-eight minutes past three Twenty-eight minutes past three a.m.
Twenty-eight past three Twenty-eight past three a.m.
Thirty-two minutes to four Thirty-two minutes to four a.m.
Three twenty-eight Three twenty-eight a.m.
Twenty-nine minutes past three Twenty-nine minutes past three a.m.
Twenty-nine past three Twenty-nine past three a.m.
Thirty-one minutes to four Thirty-one minutes to four a.m.
Three twenty-nine Three twenty-nine a.m.
Para especificar os 30 minutos em inglês passados das 3 horas, podemos usar o termo “half past” (meia hora passado). No entanto, existem outras formas que podemos usar. 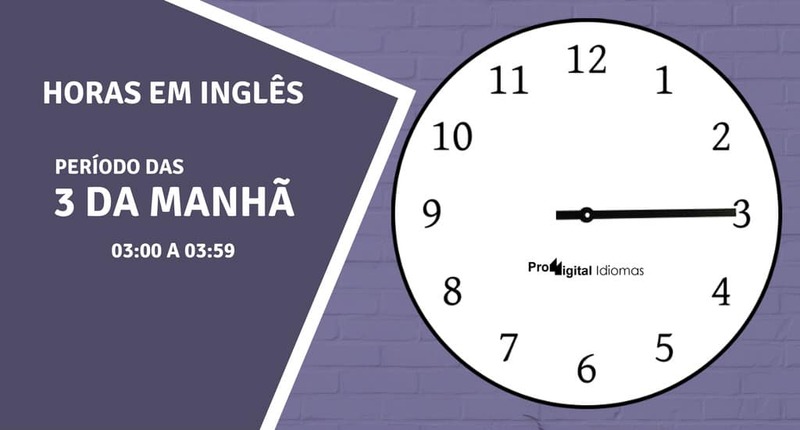 Então, vamos ver abaixo como usar esse termo para designar os 30 minutos em inglês e depois vamos ver como dizer as horas em inglês das 03:30 as 03:44. Thirty minutes past three Thirty minutes past three a.m.
Thirty past three Thirty past three a.m.
Thirty minutes to four Thirty minutes to four a.m.
Three thirty Three thirty a.m.
Half past three Half past three a.m.
Thirty-one minutes past three Thirty-one minutes past three a.m.
Thirty-one past three Thirty-one past three a.m.
Twenty-nine minutes to four Twenty-nine minutes to four a.m.
Three thirty-one Three thirty-one a.m.
Thirty-two minutes past three Thirty-two minutes past three a.m.
Thirty-two past three Thirty-two past three a.m.
Twenty-eight minutes to four Twenty-eight minutes to four a.m.
Three thirty-two Three thirty-two a.m.
Thirty-three minutes past three Thirty-three minutes past three a.m.
Thirty-three past three Thirty-three past three a.m.
Twenty-seven minutes to four Twenty-seven minutes to four a.m.
Three thirty-three Three thirty-three a.m.
Thirty-four minutes past three Thirty-four minutes past three a.m.
Thirty-four past three Thirty-four past three a.m.
Twenty-six minutes to four Twenty-six minutes to four a.m.
Three thirty-four Three thirty-four a.m.
Thirty-five minutes past three Thirty-five minutes past three a.m.
Thirty-five past three Thirty-five past three a.m.
Twenty-five minutes to four Twenty-five minutes to four a.m.
Three thirty-five Three thirty-five a.m.
Thirty-six minutes past three Thirty-six minutes past three a.m.
Thirty-six past three Thirty-six past three a.m.
Twenty-four minutes to four Twenty-four minutes to four a.m.
Three thirty-six Three thirty-six a.m.
Thirty-seven minutes past three Thirty-seven minutes past three a.m.
Thirty-seven past three Thirty-seven past three a.m.
Twenty-three minutes to four Twenty-three minutes to four a.m.
Three thirty-seven Three thirty-seven a.m.
Thirty-eight minutes past three Thirty-eight minutes past three a.m.
Thirty-eight past three Thirty-eight past three a.m.
Twenty-two minutes to four Twenty-two minutes to four a.m.
Three thirty-eight Three thirty-eight a.m.
Thirty-nine minutes past three Thirty-nine minutes past three a.m.
Thirty-nine past three Thirty-nine past three a.m.
Twenty-one minutes to four Twenty-one minutes to four a.m.
Three thirty-nine Three thirty-nine a.m.
Forty minutes past three Forty minutes past three a.m.
Forty past three Forty past three a.m.
Twenty minutes to four Twenty minutes to four a.m.
Three forty Three forty a.m.
Forty-one minutes past three Forty-one minutes past three a.m.
Forty-one past three Forty-one past three a.m.
Nineteen minutes to four Nineteen minutes to four a.m.
Three forty-one Three forty-one a.m.
Forty-two minutes past three Forty-two minutes past three a.m.
Forty-two past three Forty-two past three a.m.
Eighteen minutes to four Eighteen minutes to four a.m.
Three forty-two Three forty-two a.m.
Forty-three minutes past three Forty-three minutes past three a.m.
Forty-three past three Forty-three past three a.m.
Seventeen minutes to four Seventeen minutes to four a.m.
Three forty-three Three forty-three a.m.
Forty-four minutes past three Forty-four minutes past three a.m.
Forty-four past three Forty-four past three a.m.
Sixteen minutes to four Sixteen minutes to four a.m.
Three forty-four Three forty-four a.m.
Para os 45 minutos em inglês passado das 3 horas, é geralmente dito Three Forty-Five (Três e Quarenta e Cinco). Mas, assim como nós brasileiros, os nativos da língua inglesa também usam o formato “15 minutos para” ou “15 para” a próxima hora. E nesse caso, é usado o termo “a quarter to” que significa “um quarto” (1/4) para o próxima hora. Vamos ver abaixo como é usado esse termo, e ver também como dizer as horas em inglês das 03:45 as 03:59. Forty-five minutes past three Forty-five minutes past three a.m.
Forty-five past three Forty-five past three a.m.
Fifteen minutes to four Fifteen minutes to four a.m.
Three forty-five Three forty-five a.m.
A quarter to four A quarter to four a.m.
Forty-six minutes past three Forty-six minutes past three a.m.
Forty-six past three Forty-six past three a.m.
Fourteen minutes to four Fourteen minutes to four a.m.
Three forty-six Three forty-six a.m.
Forty-seven minutes past three Forty-seven minutes past three a.m.
Forty-seven past three Forty-seven past three a.m.
Thirteen minutes to four Thirteen minutes to four a.m.
Three forty-seven Three forty-seven a.m.
Forty-eight minutes past three Forty-eight minutes past three a.m.
Forty-eight past three Forty-eight past three a.m.
Twelve minutes to four Twelve minutes to four a.m.
Three forty-eight Three forty-eight a.m.
Forty-nine minutes past three Forty-nine minutes past three a.m.
Forty-nine past three Forty-nine past three a.m.
Eleven minutes to four Eleven minutes to four a.m.
Three forty-nine Three forty-nine a.m.
Fifty minutes past three Fifty minutes past three a.m.
Fifty past three Fifty past three a.m. Ten minutes to four Ten minutes to four a.m.
Three fifty Three fifty a.m.
Fifty-one minutes past three Fifty-one minutes past three a.m.
Fifty-one past three Fifty-one past three a.m.
Nine minutes to four Nine minutes to four a.m.
Three fifty-one Three fifty-one a.m.
Fifty-two minutes past three Fifty-two minutes past three a.m.
Fifty-two past three Fifty-two past three a.m. Eight minutes to four Eight minutes to four a.m.
Three fifty-two Three fifty-two a.m.
Fifty-three minutes past three Fifty-three minutes past three a.m.
Fifty-three past three Fifty-three past three a.m. Seven minutes to four Seven minutes to four a.m.
Three fifty-three Three fifty-three a.m.
Fifty-four minutes past three Fifty-four minutes past three a.m.
Fifty-four past three Fifty-four past three a.m.
Six minutes to four Six minutes to four a.m.
Three fifty-four Three fifty-four a.m.
Fifty-five minutes past three Fifty-five minutes past three a.m.
Fifty-five past three Fifty-five past three a.m.
Five minutes to four Five minutes to four a.m.
Three fifty-five Three fifty-five a.m.
Fifty-six minutes past three Fifty-six minutes past three a.m.
Fifty-six past three Fifty-six past three a.m.
Four minutes to four Four minutes to four a.m.
Three fifty-six Three fifty-six a.m.
Fifty-seven minutes past three Fifty-seven minutes past three a.m.
Fifty-seven past three Fifty-seven past three a.m.
Three minutes to four Three minutes to four a.m.
Three fifty-seven Three fifty-seven a.m.
Fifty-eight minutes past three Fifty-eight minutes past three a.m.
Fifty-eight past three Fifty-eight past three a.m.
Two minutes to four Two minutes to four a.m.
Three fifty-eight Three fifty-eight a.m.
Fifty-nine minutes past three Fifty-nine minutes past three a.m.
Fifty-nine past three Fifty-nine past three a.m.
One minute to four One minute to four a.m.
Three fifty-nine Three fifty-nine a.m.
Montamos essa tabela com muito trabalho, porém muita satisfação em saber que podemos estar lhe ajudando no seu aprendizado do idioma inglês. Dê uma olhada também nessas dicas e saiba como aprender inglês online sem gastar nada. Não deixe de rever cada uma dessas formas de escrita. Repasse a aula em dias e semanas diferentes para que seu cérebro consiga gravar melhor cada uma delas. Use a ferramenta Anki para te ajudar nesse processo de como escrever e como dizer as horas em inglês. Você conhece mais algum formato de hora em inglês que não foi dito acima? Então conte para nós nos comentários abaixo e compartilhe com todos os estudantes de inglês.